Combined, the Capterra team has more than seventy years of experience in strategic planning and designing captive insurance programs. Additionally, the firm works with entrepreneurs and their trusted advisors in the areas of captive insurance planning, asset protection, and wealth transfer and preservation. 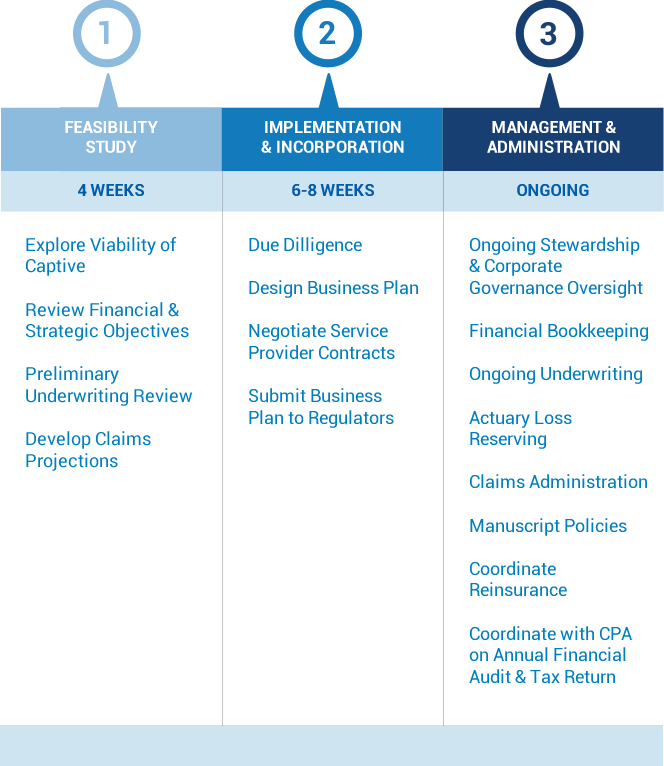 We have defined a process that expertly moves companies through the feasibility, strategy, and implementation phases. Our approach has stood the test of time, having been applied to creating and managing captives over many years. The benefit to you is a proven, efficient process that gets you the results you are looking for.